Please keep your Club Membership as well as your Club Profile (Secretary or Officer’s contact information) current. You will receive email notifications when your Club Membership renewal is coming up. An up-to-date list of AFTCA Member Clubs can be found in the Clubs & Trials section of this website. It appears in the non-member area of the site so potential new members can find and contact AFTCA Clubs closest to them. Please help our membership and sport grow by being courteous and helpful to people making inquiries. Fill out the online Essential Data Form as soon as possible following the conclusion of a field trial so wins appear in the Dog Database and Win Certificates can be made available. This will also result in the Invitational Points Standing for All-Age and Shooting Dogs to be current. You can email the PDF Form generated through your online submission to the American Field or print it out and send it via mail to the address provided. You no longer have to fill out a separate paper form for the American Field. A club should familiarize itself with an up-to-date version of the AFTCA By Laws and Running Rules. Changes are periodically made particularly in regard to new recovery device technologies that come on the market. If your club is planning on hosting a Regional Championship, a Regional Championship Sanction Form must be filled out and submitted. 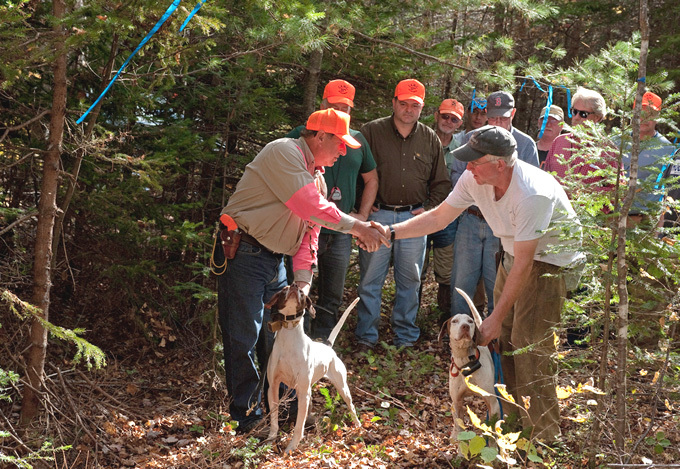 If a club runs an Invitational Points trial, the ad announcing the trial in the American Field must indicate that it is an All-Age or Shooting Dog Invitation point’s trial. If a club runs more than one trial per year, the fall trial will be designated as the points trial unless the secretary of the AFTCA is notified to the contrary, in writing and prior to the fall trial. All Essential Data Forms must be submitted to the AFTCA within 30 days after the trial or the club will not be permitted to host an Invitational Point’s trial the following season. If your AFTCA Region has a website or Facebook page, please let us know and we will add it to the AFTCA Regions page of this site. 2013 International Amateur Woodcock Championship, Debec, New Brunswick.